My static IP has been fixed. 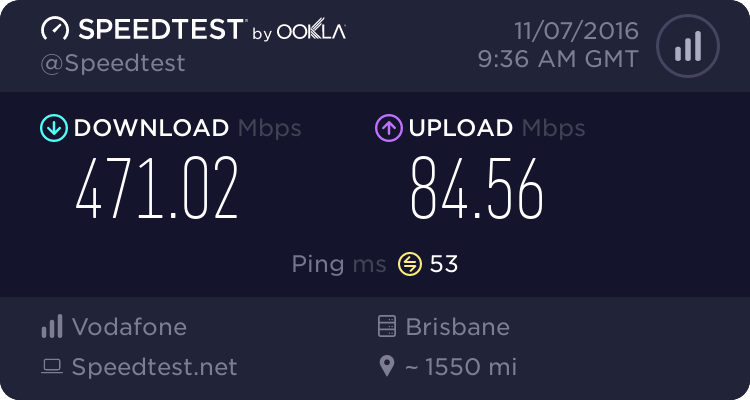 Today i have had mixed results on speedtest dropping as low as 500/30. Would some knowledgeable person care to elaborate on the advantages/disadvantages of static or dynamic ISP? I wouldn't describe myself as knowledgeable. This is all stuff I've gleaned from Geekzone. You need a static IP if you ever want to access your network from outside your LAN. Say you want to access a web or file server, webcams, home alarms, or other IOT things (a garage door for me), you need to know where to find those devices. With a static IP, the address doesn't change. Whereas with a dynamic IP (without other services acting as a go between), you won't know where to find your home network. It also makes life somewhat easier if you want to use services like smart DNS (which again needs to know where to find your home network). There are right ways and wrong ways of accessing your home network remotely (basically VPN = the right way). If you're not doing any of these things, there are no disadvantages to a dynamic IP over a static IP. Below are the details of your order. As per the installation date, we will try our best to have your plan upgraded on the 11 November 2016, however, please be advised that this is not guaranteed as it may depend on the availability of the Technician. We will be in contact with Downer Team tomorrow and will let you know of the confirmed date of the installation. Our sincerest thanks for your time and patience "
I mean WTF. This is the Vodafone I have come to know - and not love. Completely incompetent and does not follow up on promises. And gives me the wrong contract 200 megs rather than 1 gig . After the debacle with the cable service over the last year, this just makes me so cross . @mdf is right. I'd just add that most ISP's use dynamic addresses and that is all most people need. The cable network has always used static addresses in the past and people have gotten used to it. If you are hosting services (even only for your own use) then think about it. Otherwise I wouldn't worry. There is no performance difference. For the past few months I've had pretty solid performance on the 100/10 plan when downloading from Usenet. Now I'm on the 1000/100 plan and my speeds seem to be consistently lower than they used to be - getting 50-70Mbps right now. 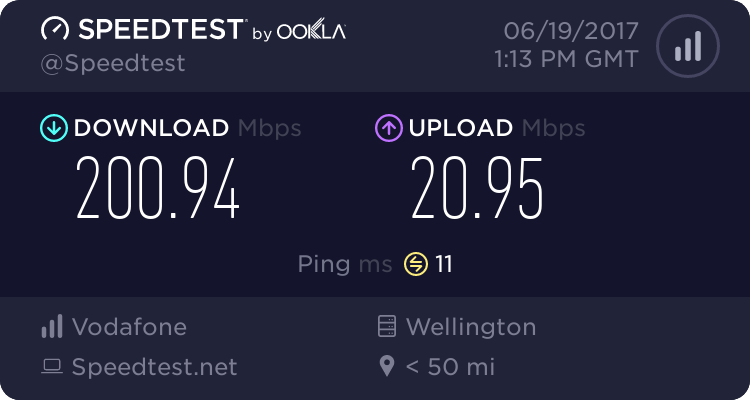 Speedtests have been giving me 500-900Mbps, but I'm not seeing that performance in real use. That said, I've only briefly played with it at a couple of different times so I'm not making any hard judgements yet. Where are you getting those lower speeds from? I can try the same download and compare speed if it helps? 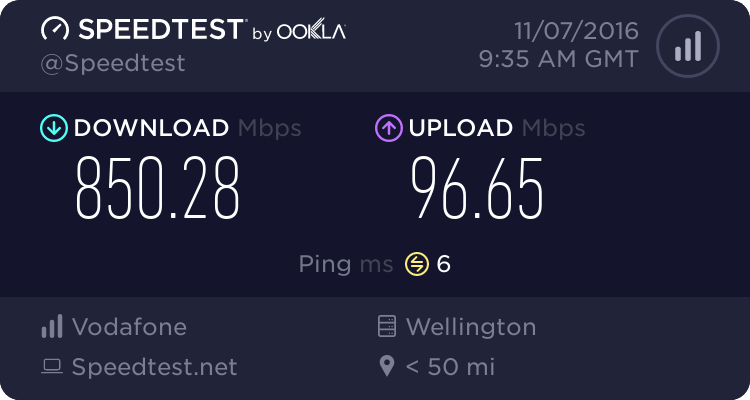 I'd only expect to see 1000/100ish speeds within NZ until the international links are further upgraded. The static IP saga continues as the downers provisioning person on the phone advised me to call VF to sort it out and upon calling tech support, I got put through to billing who eventually found that static IP is an option but there was a charge for it. Took me a few more minutes to explain that I have already queried this and I have in email via a request/incident to VF customer services that there is infact no charge for this. Anyway, apparently it takes 24/48hrs for the connection to get finalized in the system before it can be actioned and in the meantime she was going to look into it and get back to in in the next day. The only other setback for me was that the gig speeds meant my Fortinet firewall is not able to handle the speeds even with all UTM features turned off but I was expecting this as it is only a little unit. The same one at my parents place was ok with their 200/20 connection so I am stuck using the HG659 for now. I did however fire up a spare system I had and installed pfsense on it but after messing around with it for a while, I could not get the wan/vlan tagged interface to pick up an address. Is anyone here running pfsense with the FibreX or I guess standard fibre willing to share the wan/vlan config with me? That's downloading from Usenet (newsgroups), with provider Usenetbucket over SSL. 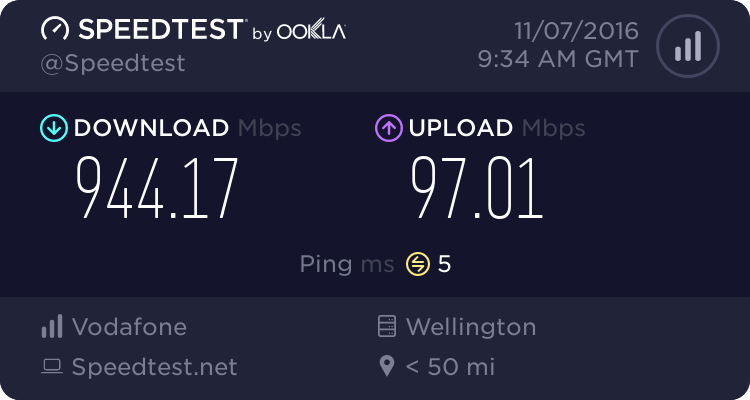 On 100/10 I'd usually get a solid 100Mbps down (sometimes a bit slower), but so far on 1000/100 it doesn't seem as solid - though I did briefly get as high as 150Mbps last night. Not sure where Usenetbucket's servers are located. Why don't people want to use the HG659. Seems to provide consistent high numbers. kharris: Why don't people want to use the HG659. Seems to provide consistent high numbers. To add to this mine has needed to be rebooted daily since install. 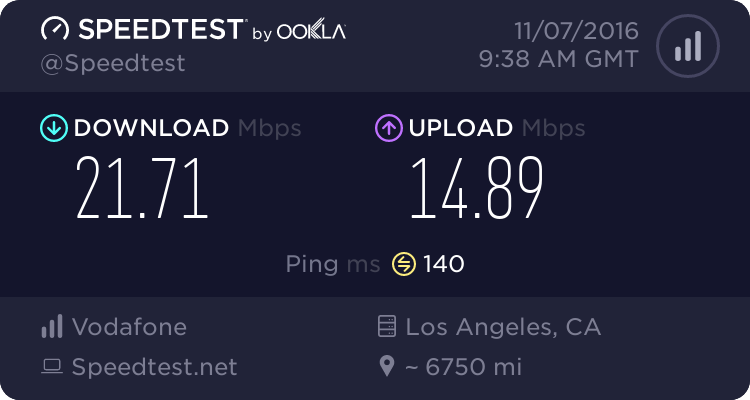 Speeds dropping and connection issues. Port forwarding is a nightmare on the HG659. You need to create a service then attach it to a mac address not an ip. I just can't not trust it to be a reliable box. I have security cameras /teamspeak / VNC connections that I use remotely. It's a problem when I need to drive across town to reboot the router to access my server. The HG659 is built to a price for home use. I went into the FibreX adventure knowing that my 15 yr old PC running pfSense was not going to cut it. OK - other people use a consumer-grade router, perhaps I can too. Looked at the web interface, and had doubts. Left DHCP and DNS running on pfSense, while using the gigabit ports on the HG659 to do the routing. That was all on Tuesday. From the start DNS had an issue - needed to refresh web pages before they got a DNS reply. Cloud printer didn't cope at all. Wednesday evening, the HG659 stopped forwarding packets. Reboot started it again. I ordered a low-end high-quality router. Friday the RB-750gr3 turned up. Last night I imported my DNS and DHCP settings from pfSense into the elegant CLI of the Mikrotik. Today it does the whole job! Well I got the call this morning saying Downer could do me on Friday - which is great. What is not so great was the lack of communications over the last week which led to increasing stress levels. What's the performance like? Can you hit the same speeds you were using the Vodafone provided router?